Extensions, annexes and renovations are an important market for Aas-Jakobsen. Land in central locations has now become extremely expensive. Extensions to existing buildings have therefore become very popular. Extensions result in a higher weight, greater wind loads and a changed response to seismic loads, all of which require a detailed understanding of the load-bearing structure of the existing building. The scope of the strengthening work needed can often be a decisive factor in whether an extension project is cost-effective or not. Posthuset (formerly known as Postgirobygget) is one of Norway’s best-known extensions and was designed by Aas-Jakobsen. An office building can have a relatively short lifespan before the need for renovation arises. Requirements change with respect to functions and ventilation, and there may be a need for other technical equipment which requires more space. Common motivations for modifications tend to be a desire to make better use of the space available or a preference for an open-plan office layout. What all these projects have in common is that the load-bearing structure of the buildings tends to be affected to some degree by the changes required. This means that a detailed understanding of the existing load-bearing structure and its function are essential, since we need to evaluate whether the structure requires strengthening or not. As a civil engineering consultant, we need to use our creativity in order to meet these needs, to ensure that the integrity of load-bearing structures is never compromised. Our task is to find solutions which are simple, cost-effective, safe and not least functional. This often requires a great deal of creativity and understanding of the interaction between the various disciplines. 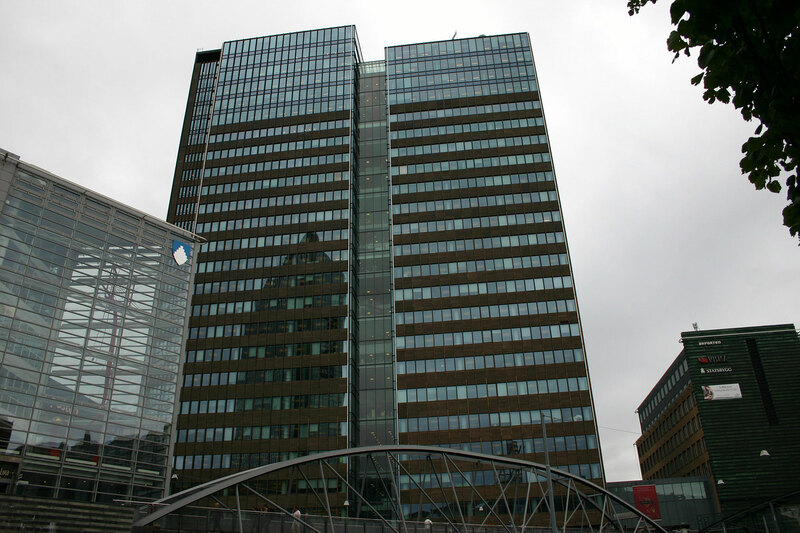 Norsk Hydro’s former head office in Bygdøy Allé is an excellent example of an office building renovation which required major changes to the load-bearing structures. 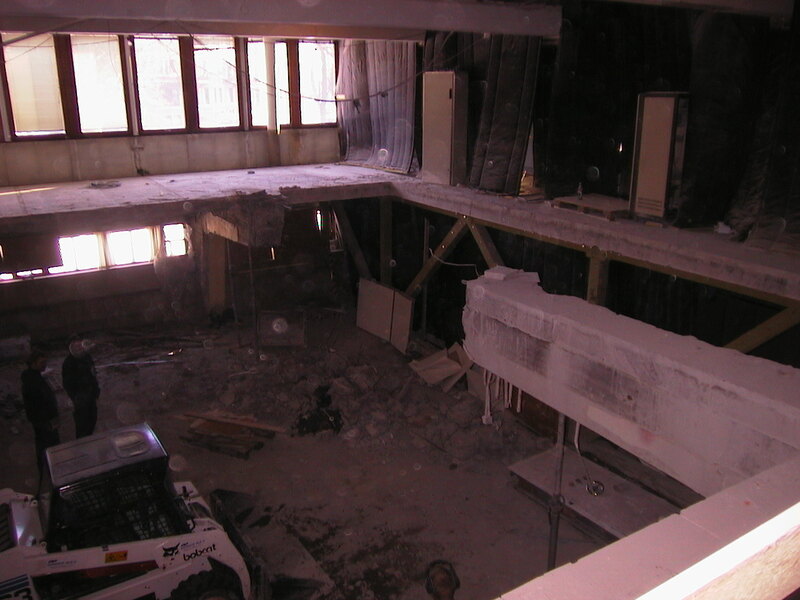 The photo below shows the removal of a large section of concrete slab in order to build a new double-height auditorium.